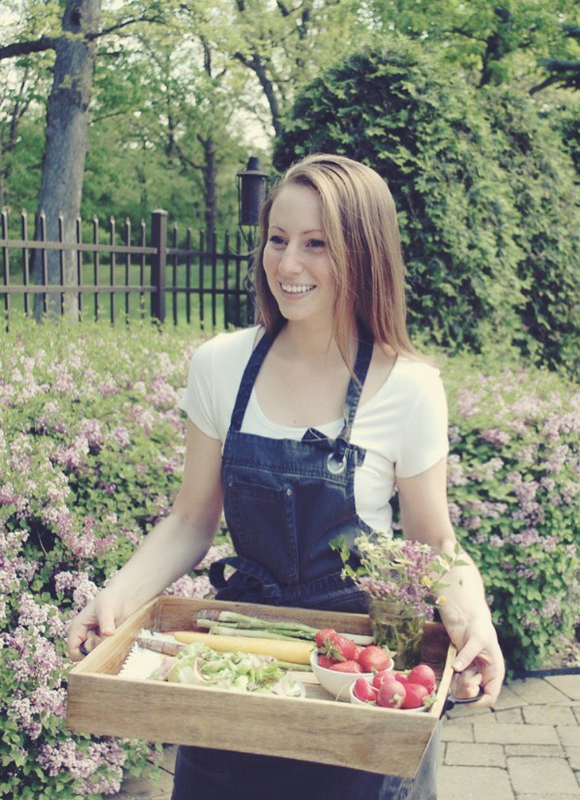 With the holidays over and the new year upon us, there is usually one thing on everyone’s mind: health! 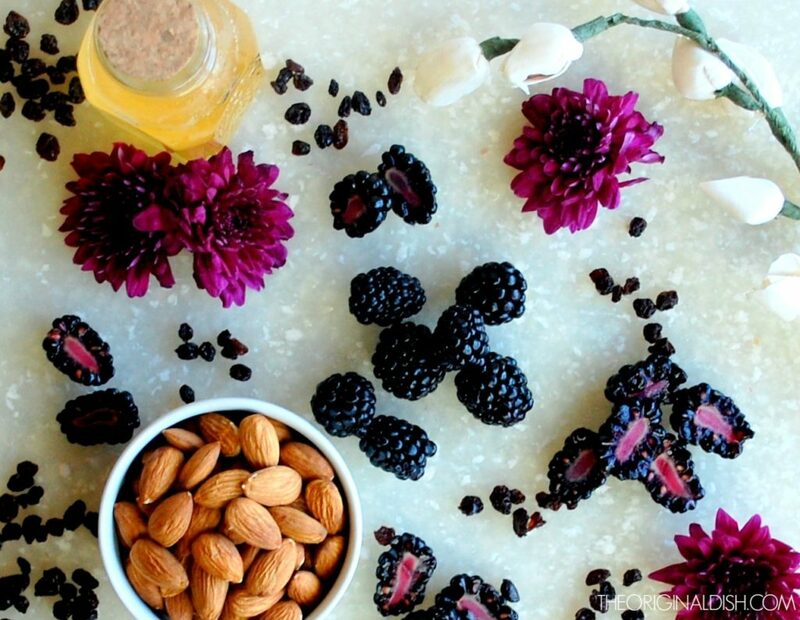 At least for me, starting a health kick is always a top resolution, as I’m sure it is for every food lover who ate one too many Christmas cookies over the break. With the past in the past, it’s time for goals to be set, new routines to settle into, and resolutions to be kept! 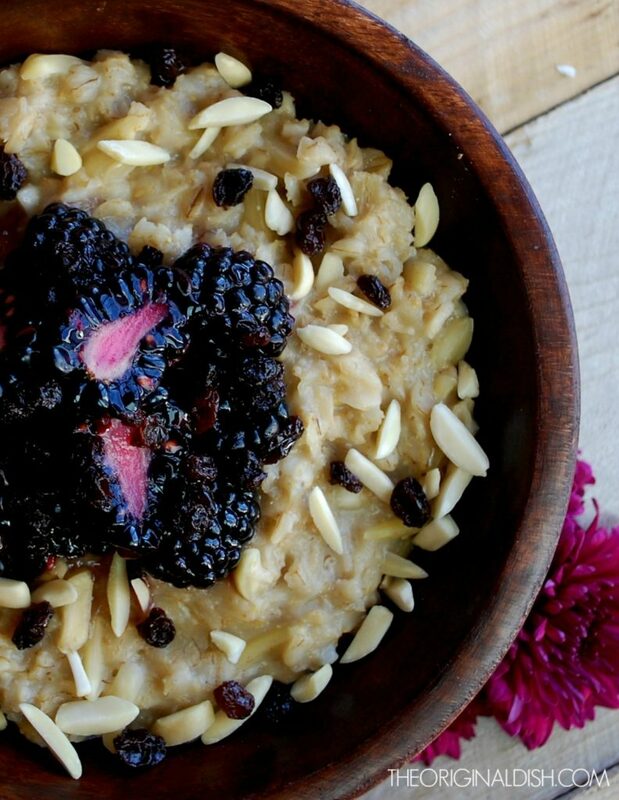 My favorite go-to, healthy breakfast that I could truly eat every single day of the year is oatmeal. Breakfast is the most important meal of the day, right? So why not make it great. Not only great tasting, but also great for you. 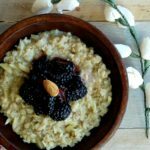 I love finding the foods that help your body in so many ways, and “Eat More Oats” has a great list of all the benefits oats can provide. What I love about them most is how they fill you up and keep you alert and energized throughout the morning. The best way to eat oatmeal is definitely not from a package. Cooking it yourself makes all the difference, and I like to keep things exciting by changing up the toppings each time I make it. 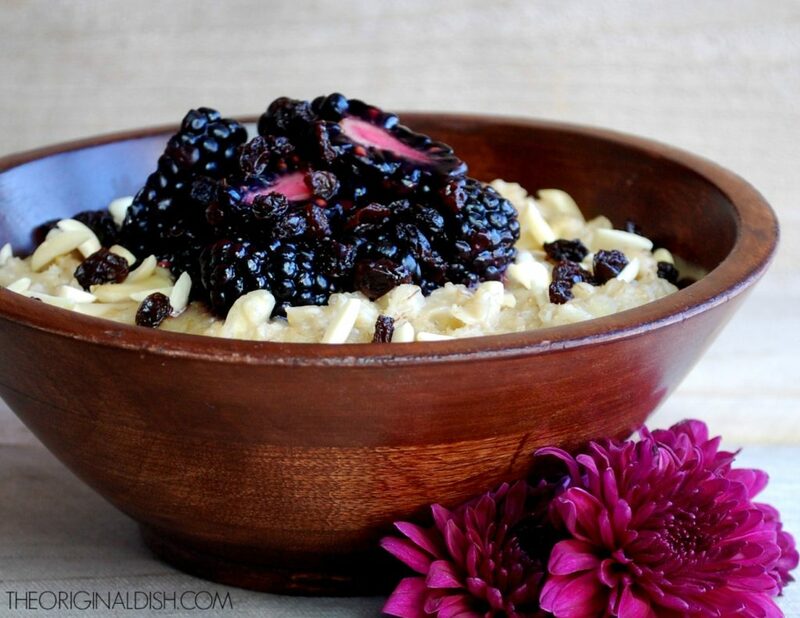 One of my favorite versions I’ve created is simple, “almond-y” oats with a deliciously sweet topping of honeyed blackberries and currants. I start by making a little honey syrup in a saucepan just by heating water and honey. I infuse the syrup with a few cloves for a warming spice. I like to find large, plump blackberries. I leave some whole and cut the others lengthwise so their bright pink-ish color shows. The warm honey syrup gets poured over the berries and dried currants. I let this mixture sit a bit so the berries can soak up all of the sweet flavor and the currants can reconstitute. 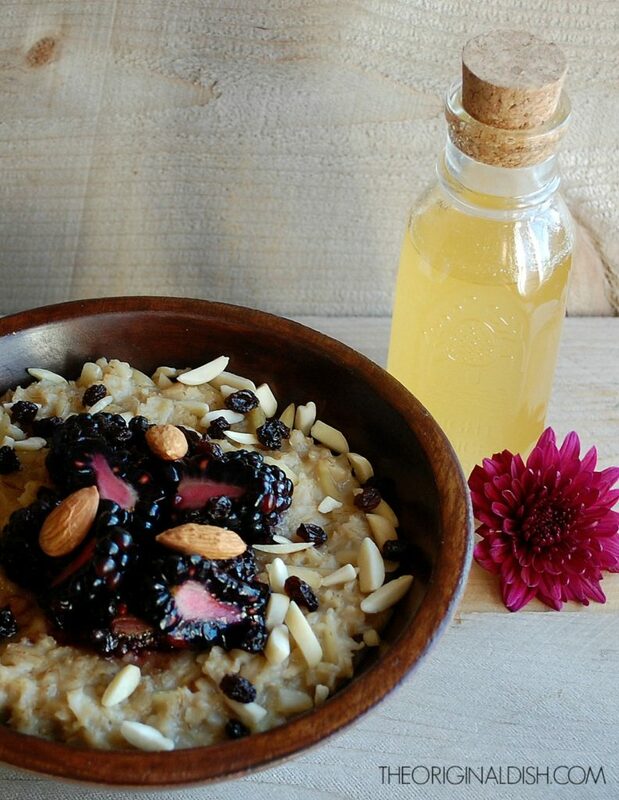 You’re left with an infused fruit topping and a blackberry-honey syrup to top the oatmeal with. Now for the oats! I love combining oats and nuts. The healthy fats and protein in the nuts plus the whole grains from the oats create a killer combination to help power through the day. 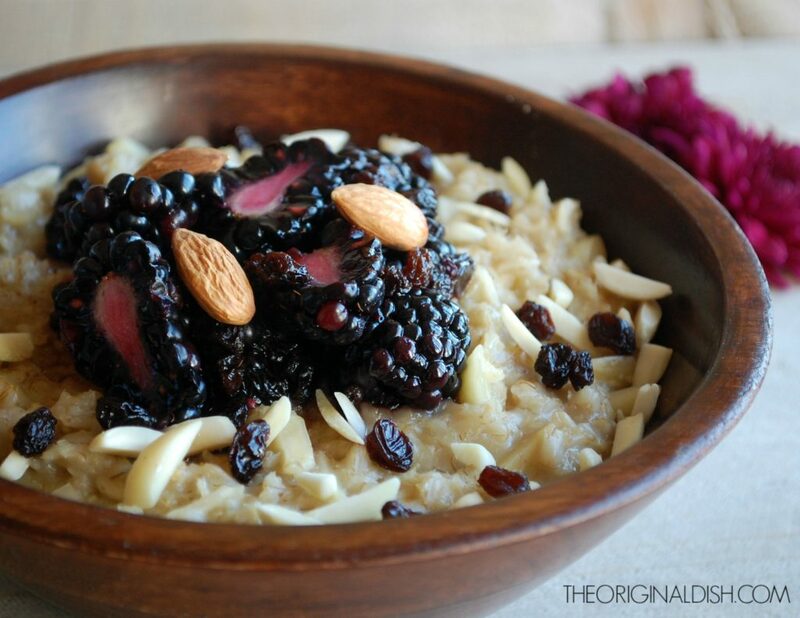 I cook the oats and stir in almonds, almond extract, honey and a pinch of salt to bring out all the flavors. The crunchy almonds contrast the soft, creamy oats…the perfect combination. I just cook my oats in water, but you can use milk for an even creamier consistency. Some other yummy oatmeal fixings I like to use: cinnamon, shredded coconut, agave, dried apricots, pecans, bananas, dark chocolate, peanut butter…the list goes on and on. Enjoy! In a small saucepan, combine the water, honey and cloves over medium-high heat. When the mixture is slightly warm, whisk to incorporate. Bring the mixture to a boil. Reduce the heat to medium-low and simmer for 5 minutes. Remove the pan from the heat and cool for 3 minutes. Pour the mixture over the blackberries and currants. Gently toss to combine. Let marinate for 30 minutes or overnight. Bring 2 cups of the water to a boil in a 2qt saucepan. Stir in the oats and reduce the heat to medium-low. Cook the oats, stirring often. After about 8 minutes, most of the water will be absorbed. Add ½ cup of water to finish cooking, a couple minutes longer. Stir in the almonds, honey, almond extract and salt. 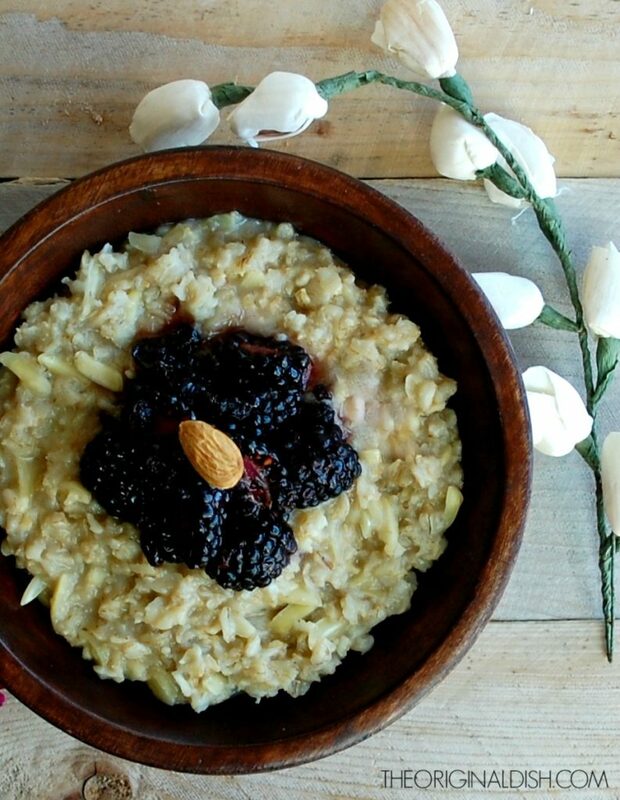 Serve a bowl of oatmeal with a heaping spoonful of the honeyed blackberries and currants. 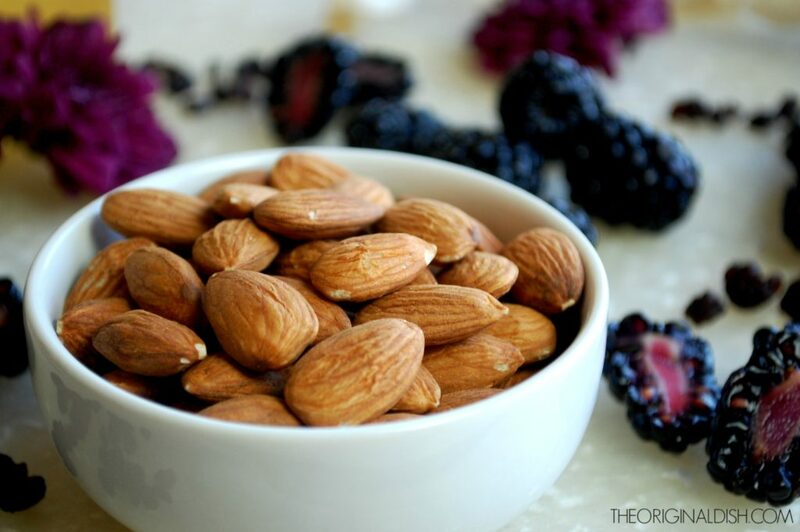 Garnish with more almonds if you’d like.